This machine is not only suitable for cutting and bevelling of pipe edges. The FAST 6_36 is the ideal solution for pipeline servicing. 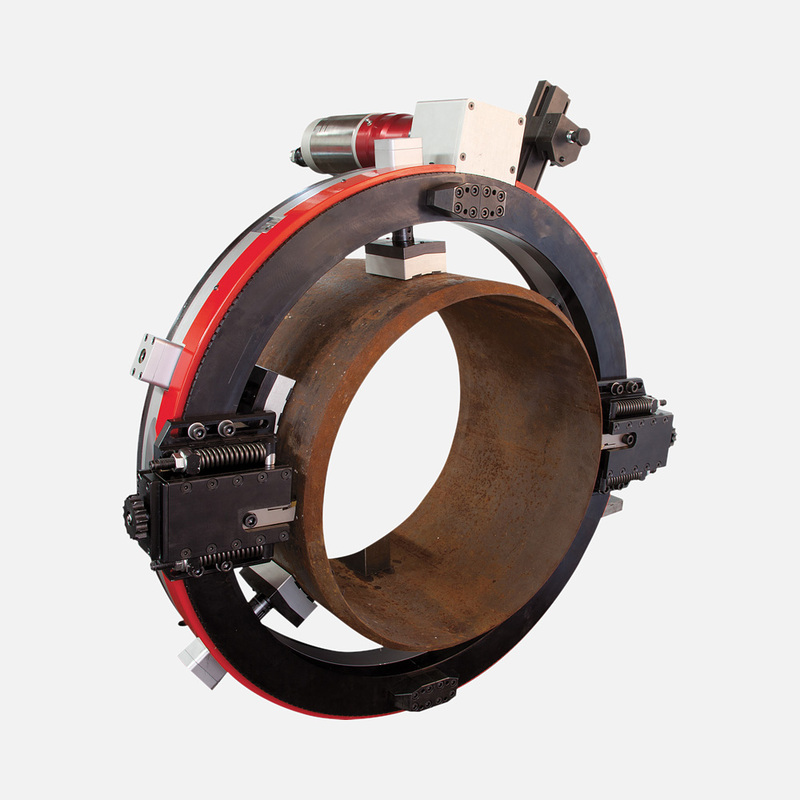 Its structural design enables the operator to split the machine body in two halves in order to ease the positioning phase when it is necessary to relocate the machine on a new pipe section. However, the most significant peculiarity of this machine is the self-centring device, which by means of a toothed crown enables the operator to obtain a perfect centring during the positioning phase, granting a perfect stability obtained by special high resistance clamping pads. The FAST 6-36, is available in three different motorizations (electric, pneumatic and hydraulic), and in its standard equipment also lists two copier tool holders for the compensation of eventual irregularities caused by ovalization of the pipe.